2 minute read. In this post, we’ll share a story of a Mother’s love and details about our current giveaway opportunity to share what makes your mother incredible. Early mornings making breakfast and packing lunches. Late nights telling bedtime stories and warding off bad dreams. Mothers are ever present throughout the day, faithfully caring for and loving their family. When you think of your mother it probably conjures up unique memories of the traits, habits, and little idiosyncrasies that make her your mother. A hard working woman, both in the home and outside, who wears all sorts of hats: tea party guest, coach, mediator, nurse, homework tutor, and friend for life. “Mother” isn’t just limited to a biological parent, either. Often times, various mother figures step in and out of our lives, leaving behind a piece of themselves and forever changing us in their own ways- an older sibling that helped fill in the gaps for busy parents, an aunt that steps in when a mother is lost, a mentor that made herself available to help you grow into the person you are today. All “mothers”. 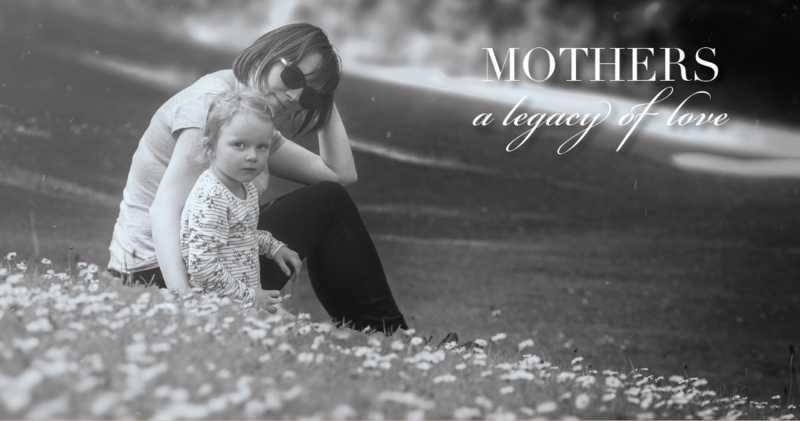 We want to celebrate mothers and all the mother figures for the legacy of love they leave in their wake and all the ways they’ve made a difference in the lives of those around them, both family and friends. Send us your stories of how the mothers and mother figures in your life have helped shape you, care for you, and love you. Two of the entries will be randomly selected to win a $100 gift card to Funky Door to take out that special lady, or celebrate in her honor. Reader’s Digest asked people to submit stories about their mothers in 100 words or less. Of the stories they featured, you’ll see sweet and unique stories about lessons taught, memories shared, and legacies that live on from mother to child. “There is power in the human touch, and there is no touch as profound as a mother’s touch. Her hands are warm, caring, consoling, healing, guiding, nurturing, and sometimes stern. But whatever the need, her touch seems to make the world a better place. I believe my mother, Linda Moore, is the most kind, compassionate, loving human being that God placed upon the earth. On Mother’s day, I celebrate her for so many reasons, but most of all, I appreciate her “touch”. Throughout my life, she has taught me the importance of acceptance, servitude, and the difference the human touch can make in so many lives and in so many different circumstances. I have watched her sacrifice her own happiness, her own possessions, as well as her own state of well-being, to simply be of service to others - with no regrets. She always initiates contact with anyone that she encounters with a “touch”. A touch on the arm, a pat on the back, and most often, a hug. And because of this, she’s never known a stranger. This Mother’s Day, I celebrate a mother’s touch and what a difference it can make. Whether living or passed, whether in person or in spirit, a mother’s touch is everlasting. I thank you, not only for your loving touch but for the handprint you have made upon my life. Take a few moments to reflect and read through these additional short stories and we hope that you’ll share yours with us. Let’s celebrate a mother’s love this Mother’s Day and spread some extra love and appreciation for the love that has been given to us. You can submit stories on Facebook on our Mother’s Day Posts! If you’d rather keep your story private, feel free to email it to us at media@memorialdesigners.net.